Renée Copeland is a Twin Cities-based artist originally from the wooded valleys south of Winona, Minnesota. She graduated from the University of Minnesota with a BFA in Dance and minor in American Indian Studies. Upon graduating in 2010, she joined Ananya Dance Theatre and continues to perform and teach with the company, touring all over the world. She co-founded the dance/performance-art duo Hiponymous in 2012 with Genevieve Muench and became a founding member and collaborator of hip-hop-based dance company BRKFST in 2014. She is also a poet, multi-instrumentalist, and singer-songwriter. She is indebted to her parents for their abundant support and participation in all things creative, nourishing, and sacred. In 2006, he moved to Mexico and danced with a variety of groups and performed as a guest dance artist with famous Latin bands including Latin Grammy award winning Los Van Van and Pupy y Los Que Son Son. In 2011, Chini moved to Minnesota. He immediately began dancing with Rene Thompson’s Street to Stage group. He went on to work with Patrick Scully, Curio Dance and has connected with Brazilian, West African and Hip Hop artists in the Twin Cities. Chini now performs and choreographs for Rueda de la Calle and his own performance identity Chini Company. He is a passionate dance educator teaching Cuban and other Latin dances in a variety of venues from school workshops to nightclubs to Chini Studio. Throughout his career he has performed in theaters, festivals and nightclubs reaching a broad range of audiences and communities. 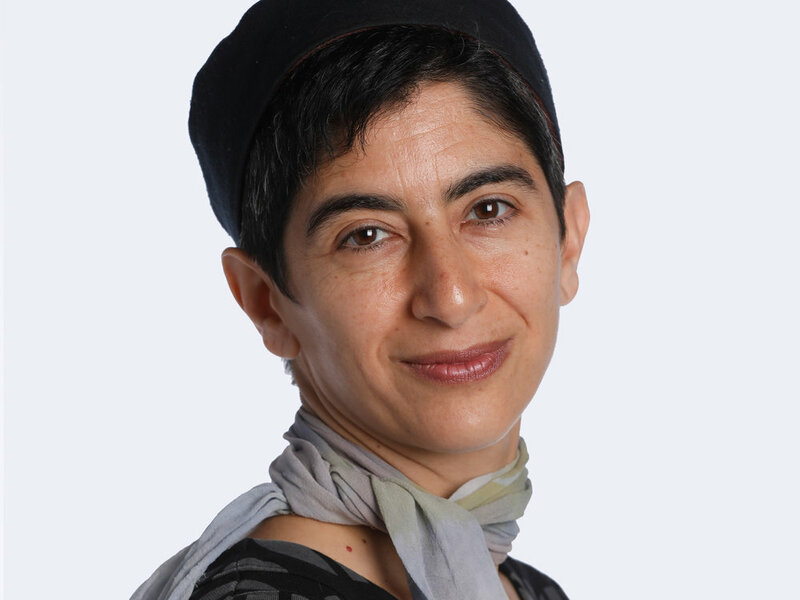 Sharon Mansur is an experimental dance and visual artist whose creative work integrates improvisational techniques, somatic practices, and interdisciplinary collaborative approaches. She has a keen interest in site-situated/responsive art that melds the visual and visceral, body and environment, as well as subtle or invisible internal and external landscapes and perceptions. She loves creating experiences where active viewing and wild imaginations are welcome. Her live performance and dance on film projects have been presented throughout the United States, as well as in Argentina, Canada, Ecuador, Germany, Indonesia, Ireland, Italy, Lebanon, Mexico, and the UK. A native of Osaka, Japan, Sachiko “La Chayí” Nishiuchi is a Twin Cities-based Flamenco dancer, teacher, choreographer and organizer. Besides her work as an independent artist, she dedicates her time for community work in Flamenco including directing Twin Cities Flamenco Collective. Sachiko attained her artistic name “La Chayí” from one of her great teachers, Pilar Montoya Manzano “La Faraona”, to honor and remember her. She has received awards, recognition and grants from Minnesota State Arts Board, Metropolitan Regional Arts Council, the Jerome Foundation, the Minnesota SAGE Awards for Dance, and New York State Flamenco Certamen. Sachiko is the recipient of a 2017 McKnight Dancer Fellowship, administered by the Cowles Center and funded by the McKnight Foundation. Her dance and choreography have been commissioned and/or presented by The Walker Art Center, Zorongo Flamenco Dance Theatre, Intermedia Arts, Minneapolis Guitar Quartet, The Southern Theater, and Hamline University. She was a resident artist of Zorongo Flamenco from 2003 to 2009. She attributes her artistic formation to her most significant mentor, Zorongo's Artistic Director Susana Di Palma. She lived and studied the art of Flamenco in Seville, Spain from 2010 to 2015 which became the foundation of her current dance and work. Besides her daily life surrounded by the culture of Flamenco in Seville, she owes her current artistic direction and foundation to the following incomparable artists and teachers; Farruquito, Javier Heredia, Juan del Gastor, Luis Peña, Miguel Funi, and Pilar Montoya Manzano “La Faraona”. Krista Langberg is originally from Great Neck, New York. She is a freelance performer currently touring and performing Soft Goods, made by the visionary artist Karen Sherman. In a professional career spanning over thirty years, she has had the opportunity to work with many other exceptional artists. Most recently she performed and toured SHORE (2014/15), made in collaboration with choreographer Emily Johnson and director Ain Gordon, and worked with choreographer Chris Schlichting from 2010-2015, on the creation and performance of Stripe Tease and the Minnesota SAGE Award-winning production, Matching Drapes. Krista was a member of Susan Marshall & Company in New York from 1994-2002, creating original parts in six evening length works, including the role of Lise in the Susan Marshall/Philip Glass Opera Les Enfants Terribles. Previous to that, she danced with New Dance Performance Laboratory (MN), Zenon Dance Company (MN), and the Cleo Parker Robinson Dance Ensemble (CO). In these formative years Krista had the chance to work with outstanding artists, including Douglas Dunn, Bebe Miller, Donna Uchizono, Milton Myers and Donald McKayle. She has been an adjunct faculty member at Macalester College since 2007, working as a teacher, advisor and choreographer, and lives with her two daughters in Saint Paul, MN. Herb Johnson III graduated from Perpich Center for the Performing Arts in 2010 and studied 3 years at Lundstrum Center for Arts. Herb is now at the University of Minnesota as a Hip-Hop dance instructor. He currently choreographs and performs solo and in groups 612 Crew, DeadPool, and Kudeta. Professional work includes iLuminate from America’s Got Talent, ROOTED: Hip Hop Choreographers’ Evening, and The Ordway Theater's production of A Chorus Line. Herb also travels the nation as his alias “Jus Herb” to compete in battles in places like Los Angeles, Chicago, and Las Vegas. In the future, Herb plans to continue traveling and challenging himself creatively in performance, choreography, and battles to further optimize his talents. Lisa “MonaLisa” Berman, founder and Artistic Director of BRKFST Dance Company, has been working as a dancer, choreographer and instructor since 2004. Berman is the recipient of the 2008 Jerome Travel and Study Grant for Choreography, and 2016 McKnight Dancer Fellowship, providing opportunities to work with Bgirl Aruna, founder of HipHopHuis in Rotterdam, Netherlands and Victor Quijada, founder and Artistic Director of RUBBERBANDance Group in Montreal, Canada. Locally MonaLisa has performed at the Southern Theater, Walker Art Center, The Ritz Theater, MIA, Xcel Energy Center, Target Center, Palace Theater, The Cowles Center, Intermedia Arts, First Avenue. Beyond the Twin Cities she's been seen at NJPAC, Paradise Theater, Lincoln Center, Performa Biennial via Salon 94 NYC, Art Basel-Miami, Corcoran Gallery in Washington D.C., Kunsthal Museum, Gallery Tribute to Women in Hip Hop Rotterdam, Netherlands, and The National History Museum of Amsterdam. MonaLisa is currently working as a Breaking instructor/choreographer for Saint Paul Conservatory for Performing Artists, The Cowles Center, Breck School, and Hamline University. Christopher Hannon is in his 28th year as a professional dancer. Chris has performed soloist and principal roles with Ballet Austin, Ballet Florida, Ballet British Columbia, Alberta Ballet, Kokoro Dance in Vancouver BC, Gina Patterson's Voice Dance in Austin Texas, and Compania de Danza21 in San Juan, Puerto Rico. He was a member of the James Sewell Ballet in Minneapolis for 11 years. Chris trained at the Houston Ballet Academy while studying classical and jazz guitar at the High School for Performing and Visual Arts also in Houston, Texas. He later completed a Bachelor of Arts at the University of Texas in Austin. Chitra Vairavan is a contemporary Indian dancer and choreographer of Tamil/South Indian-American descent. Vairavan is immersed in both Tamil culture and progressive brown politics here in the U.S. She dances to heal and creates dance to help heal others. Her contemporary Indian dance foundations began as a founding member of Ananya Dance Theatre in 2004 and a dance collaborator with Aniccha Arts since 2007. She has labored as a professional dancer for fifteen years and continues exploring and experimenting with her Indian-based artistic roots. The aesthetic of her movement is through both yoga and contemporary Indian dance forms – mainly a mixture of training in Bharatanatyam, Odissi and Yorchha. Dance Magazine named her "25 to Watch" in 2017, and she was awarded the 2018 Naked Stages Fellowship to create a site-specific performance in January 2019. Eddie Oroyan dances with companies such as Black Label Movement, Shapiro & Smith, and Zenon while also creating his own work. He has danced with Creach/Company in New York and has worked with ARENA, Maggie Bergeron, Joe Chvala and the Flying Foot Forum, Metropolitan Ballet, Nautilus Music Theater, and the Minnesota Opera. Eddie began his dance training at UW-Stevens Point, a 2001 graduate of their dance program. He was featured as dance artist of the year 2006 in City Pagesand given the honorable mention in the Star Tribune's 2006 Artist of the Year. Also, a 2008 Minnesota SAGE Award recipient for Outstanding Performer, his Momentum commissioned work, Brown Rocket, was nominated for a SAGE Award in Outstanding Performance, and he received Metro Magazine's 2009 Keeper Award. Leslie O'Neill began her dance training at the University of Wisconsin at Green Bay as a member of the Fighting Phoenix Dance Team. After two years, she transferred to the University of Minnesota-Twin Cities to continue her training in the hopes of becoming a professional where she had the opportunity to work with artists Doug Elkins, Shouze Ma, Judith Howard, and to perform in master works by Paul Taylor. She completed her BFA and went on to dance for local choreographers Ray Terrill, Rosy Simas, Maggie Bergeron, as well as Oregon-based Robin Stiehm. In 2005 Leslie joined Carl Flink as a founding member of Black Label Movement, where she honed her technique and began to find her voice as a performer. Leslie began making her own work in 2005, which first presented in the Minneapolis Fringe Festival. She also presented a solo, Trigger, which she premiered at the Red Eye Works-In-Progress series. It was later performed by Emilie Plauche-Flink, artistic director of Black Label Movement in 2009. Leslie joined Zenon Dance Company in 2006 as an apprentice and is now a company member. Leslie's choreographic endeavors include Tri, a trio for the scholarship students at Zenon's Dance Zone, and a recent presentation of her solo These Years, for the Minneapolis Fringe Festival. Leslie was nominated for a Minnesota SAGE Award 2009 for her performance in BLM's Fieldsongs and Zenon Dance Company's spring season, and her solo Trigger was mentioned in "Top 5 Dance Events of 2009" in the Star Tribune. Emilie Plauché Flink is the Artistic Associate of the Twin Cities based performance group, Black Label Movement (BLM) alongside her life partner and BLM Artistic Director Carl Flink. A member and soloist with the Limón Dance Company from 1989 - 1999, Emilie performed the masterworks of Doris Humphrey and Jose Limón, as well as, dances by Ralph Lemon, Doug Varone, Annabelle Gamson, Phyllis Lamhut, Garth Fagan, Jiri Kylian, and Anthony Tudor. During her time with Limón, she was a regular Limón Institute faculty member in New York City. She continues to reconstruct Limón's choreography for dance companies and university dance programs across the country. Other performing credits include work with Lila York, David Grenke, Colin Connor, Shapiro & Smith Dance, and Off-Broadway in Martha Clarke's Garden of Earthly Delights and Miracolo D'Amore. In the spring of 1998, Emilie was a Sage Cowles Guest Artist at the University of Minnesota's Dance Program, where she taught Limón technique influenced by her own movement explorations from 2001-2008. In 1999, she was the first Guest Artist-in-Residence at Stanford University's Dance Department. As a choreographer, she has created commissioned work for San Jose State University, Roger Williams University, Chattanooga Ballet, Of Moving Colors Dance Company, Purchase College Senior Concert Series, Baton Rouge Ballet Theatre, Ballet Arts Minnesota, and Zenon Dance Company. Emilie holds a B.F.A. in Dance from the Juilliard School. She and Carl are the proud parents of three wonderful daughters, Willa, Iris and Freyja. Nic Lincoln, originally from Grand Rapids Michigan, studied dance at Interlochen Arts Academy, Grand Rapids Ballet and Hubbard Street Dance Chicago. James Sewell Ballet (JSB) has acted as a creative incubator for Nic's artistry and he has danced in over a dozen works created on him by James Sewell as well as world premieres by Jennifer Hart, Morgan Thorson, Patrick Corbin, Hijack and Kenna Cottman. He relocated to Minneapolis to join JSB after dancing professionally with the Graz Ballet, Malaika Kazumi's Ballet Theatre Frankfurt and La Compañia de Juan Carlos Santa Maria. Before living in Europe he danced professionally with Dayton Ballet, Cleveland San Jose Ballet and Grand Rapids Ballet where he was featured in roles by Roland Petite, Dennis Nahat, George Balanchine and Robert Joffrey among others. He was named Best Dancer of 2011 by City Pages for his work in Judith Howard's Dressage. Nic performed Dressage again in 2012 as well as solos created for him by Megan Mayer, Rosy Simas, Penelope Freeh, and Wynn Fricke. He invited these five female choreographers to create new works to help ignite society's recognition of women in the arts. Lincoln is an advocate for the gay, lesbian, bisexual and transgender community. For several years running he has contributed his choreography to the Human Rights Campaign which has helped to heighten the community's awareness of diversity. Apart from choreographing independently, his works have been performed by JSB, Grand Rapids Ballet, Flint Youth Ballet and the 2008 Walker Art Center's Choreographer's Evening. He produced his own show at the Red Eye Theater in June 2009. His newest work Tempered Glasspremiered at O'Shaughnessy's Snapshots; Reflections of Women in 2010. In addition to his work in choreography and dance Nic is a professional visual artist. Amanda Dlouhy dances with Ragamala Dance, a Minneapolis-based company celebrated internationally for presenting the classical Indian dance form of bharatanatyam with passion, innovation, and integrity. Amanda was introduced to bharatanatyam by Ragamala Artistic Directors Ranee Ramaswamy and Aparna Ramaswamy in 2004 and began intense study in January of 2005. Since 2005, Amanda has toured with the company extensively, performing in over 25 states and various countries. US venues include the John F. Kennedy Center for the Performing Arts in Washington DC, the New Victory Theatre in New York, and the Van Wezel Performing Arts Hall in Sarasota, Florida. International venues include the Bali Arts Festival (2006), the Edinburgh Fringe Festival (2008 and 2009), and the Soorya Festival in Kerala, India (2010). In her work with Ragamala, Amanda has had the privilege of performing with world-class musicians, notably Rajna Swaminathan, Anjna Swaminathan, Lalit Subramaniam, Prema Ramamurthy, Shubhendra Rao, Saskia Rao-de Hass, Waidaiko Ensemble Tokara, and the Cudamani Ensemble of Bali, Indonesia. With four other Ragamala dancers, she workshopped and performed a 40-show run of The Iron Ring with the Children's Theatre Company in Minneapolis in 2008 and 2010. Amanda teaches bharatanatyam technique in the Ragamala School and participates in the company's outreach program, giving performances year-round to school and community groups in and around the Twin Cities. Ashwini Ramaswamy has studied Bharatanatyam with Ragamala’s Artistic Directors Ranee Ramaswamy and Aparna Ramaswamy—her mother and sister—since the age of five and has toured extensively with Ragamala, performing throughout the U.S. and in Russia, Taiwan, Indonesia, Japan, the U.K, and India. Ashwini is a 2011 recipient of a Minnesota State Arts Board Artist Initiative Grant for Dance and was recently accepted for one-on-one study with Bharatanatyam master Alarmèl Valli. Ashwini is Ragamala’s Director of Publicity and Marketing and also works as a freelance publicist for the publishing company The Penguin Group in New York City. She holds a degree in English Literature from Carleton College and is currently on the board of Arts Midwest. Stephen Schroeder currently dances and has danced with Zenon Dance Company since 2001. He’s also been seen in the Twin Cities with the likes of Minnesota Dance Theater, ARENA Dances, TU Dance, the Minnesota Opera, and Nautilus Music Theater. Originally, he hails from Colorado where he earned his Bachelor of Fine Arts Degree at the University of Colorado at Boulder. Since becoming a professional dancer in 1996, Stephen has taught and performed across the country and internationally. He seeks the essence of movement and strives to share it with all who’ll listen. An avid lover of horses, good music and live performance, Stephen will attempt to combine all three in his largest endeavor yet, the raising of his daughter Paityn Joy. Taryn Griggs is a cataloger of rare forms for a handful of independent choreographers. In the Twin Cities these choreographers include Angharad Davies, Jaime Carrera, Justin Jones, Dustin Haug, Tamin Totzke, and Chris Yon. Taryn has been dancing with and for her husband, Chris Yon, since 2002 after meeting during the Bessie Schonberg residency at The Yard in Chilmark, Massachusetts. With Yon she has performed at The Fulton Ferry Warehouse, Broadway-Lafayette Subway Station, La Mama ETC and Annex, Brooklyn Arts Exchange, Dixon Place, Danspace Project, Ur, WAX, Galapagos, Dance Theater Workshop, Walker Art Center, The Southern Theater, Bryant Lake Bowl, Tangente (Montreal), Freehold Arts Center (Seattle), ODC (San Francisco), Velocity (Seattle), Philadelphia Dance Project (Philadelphia), Citedanse (Grenoble), Project Art Center (Dublin), as well as at various regional theaters in Ireland. Before relocating to Minneapolis, Taryn was a member of David Neumann's advanced beginner group from 2004-2009. Other performance credits include work with Liz Roche (Ireland), Sara Rudner, Susan Rethorst, Yoshiko Chuma, Karrinne Keithley, Sara Smith, Ivy Baldwin, Johannes Weiland, Anna Sperber, Mary Cochran and Sara Hook. Taryn received a Minnesota SAGE Award for Outstanding Performer for her work with Chris Yon and Justin Jones in 2009. Taryn holds a B.F.A in dance from the North Carolina School of the Arts. She is the proud mom of Beatrix who was born in February 2012. Taryn worked “The Very Unlikeliness (I'm Going to KILL You! )”, a duet with Chris that was performed at the Bryant Lake Bowl and LA Mama in 2012-2013. Kari Mosel hails from Eau Claire, Wisconsin where she grew up riding horses, climbing trees, and tripping over her own feet. She received her BFA in Dance from the University of Minnesota in 2004. In 2002 Mosel began her professional career with an apprenticeship for Shapiro & Smith Dance. She became a full company member in 2006, while tour managing and understudying for ANYTOWN. Mosel also serves as the administrative assistant and board secretary for Shapiro & Smith Dance. 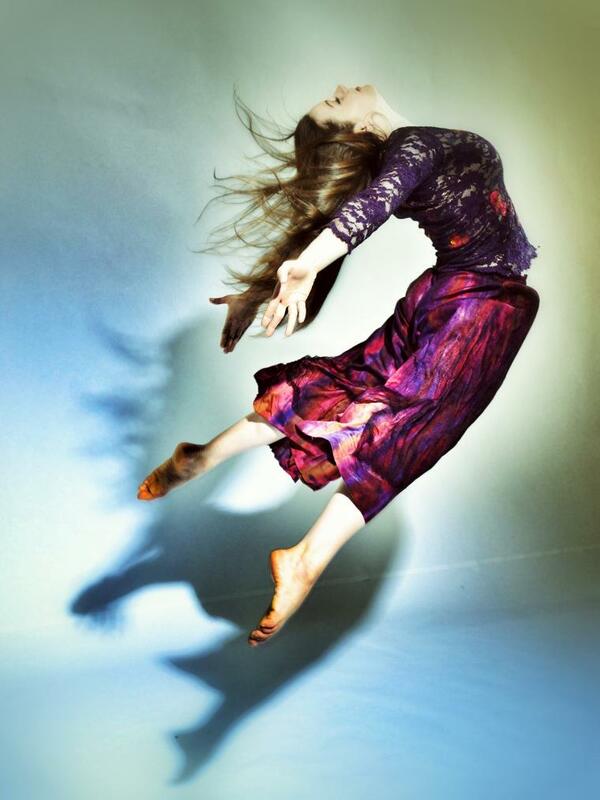 In 2005 she became a company member and teaching artist with Stuart Pimsler Dance & Theater (SPDT). Performing with them nationally and internationally for the past 8 years, Mosel has assisted in SPDT workshops and residencies in educational and healthcare. She was SPDT’s company manager from 2009-2011 and now serves as their video editor and archivist. Mosel has also danced with Time Track Productions, Kats D and the Paneer Project, Marciano Silva dos Santos, Jim Lieberthal, Black Label Movement, Jenny Pennaz, Julie Warder, Cade Holmseth, and as apprentice for Zenon Dance. In October 2012 Mosel was nominated for a Minnesota SAGE Dance Award for Outstanding Performer. In addition to performing, she creates her own work, which has been presented at The Women’s Club, Patrick’s Cabaret, and The Ritz Theater in Minneapolis and has also been commissioned by The University of River Falls Dance Program for the past several years. Mosel is also the performance coach for the Hudson High School Gymnastics Team. Tamara Ober is a dancer, choreographer, and multidisciplinary creator based in Minneapolis. She has received Minnesota SAGE Award nominations for Performance, Performer, and Design (2012) and has been presented in Red Eye’s Isolated Acts (2013) with solo show, Sin Eater. Ober’s critically acclaimed multidisciplinary solo show, Pipa toured across the U.S., Canada, and to Budapest, and received Montreal Fringe’s first-runner-up Centaur Award (2009), City Pages Best Artist (2009), MN SAGE Award for Dance for Outstanding Performer (2010), and Metro Magazine’s Keeper Award (2011). Supported by the MacPhail Center for Music Artist grant (2012), the Spotlight Series (2012), and the American Composer’s Forum Live Music for Dance MN grant (2013), Ober, composer/musician Julie Johnson, and New York filmmaker D.J. Mendel created a MN Fringe sellout, Standing on the Hollow. In 2015, Ober created an evening-length dance film for Johnson’s live music composition, Seasons of Time. She received a 2015 MRAC Next Step grant to create a new trio, premiering in June 2016. Ober has served on panels, performed lecture/demonstrations, and workshops for various dance and theater educational institutions. She is Wonderlust Production's choreographer, and has collaborated on the NEA supported Veteran’s Play Project (2013), and the Adoption Play Project (2016). 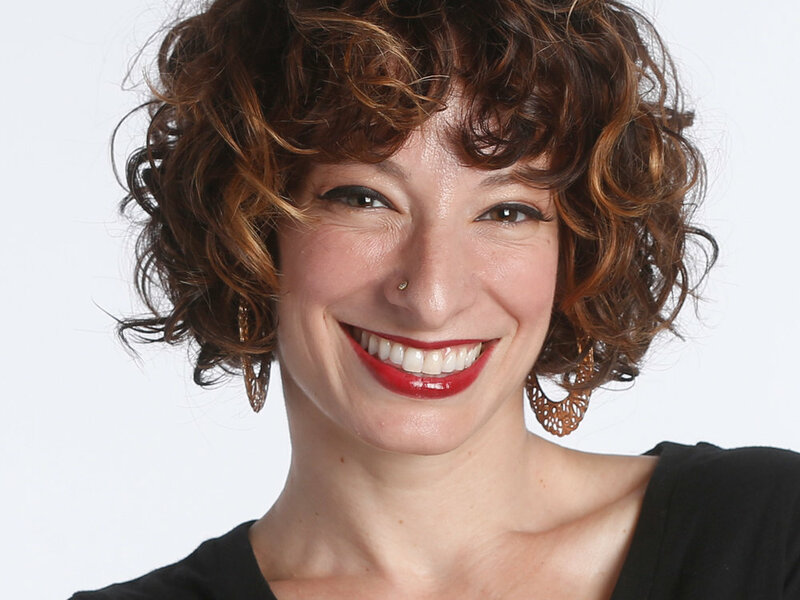 A graduate of the University of Minnesota with a BFA in Dance and BA in Sociology, Ober joined Zenon Dance Company in 2002 and has worked with over 40 emerging and world-renowned choreographers, touring to New York, Russia, Hungary, France, and Cuba. Gregory Waletski grew up in Chanhassen, Minnesota and is a 1987 graduate of St. Olaf College in Northfield, MN. Inspiration for a dancing life began there with his first teacher, Toni Sostek. He has been a member of the modern and jazz repertory company, Zenon, for the past 22 years. As such he has worked with a wide range of choreographers including Susana Tambutti, luciana achugar, Netta Yerushalmy, Danny Buraczeski, Colleen Thomas, Bill Young, Sean Curran, Doug Varone, Morgan Thorson, Mariusz Olszewski, and Faye Driscoll. He has also performed in the companies of several Twin Cities' based choreographers including Megan Meyer, Wynn Fricke, Cathy Young, and Matthew Janczewski. In 2000 he was awarded a McKnight Fellowship for Dance and was the recipient of a 2011 Minnesota SAGE Award for Outstanding Performer. Waletski also has a rich and varied life outside of dance. For many years he has worked as a commercial salmon fisherman in Alaska's Bristol Bay. He is also an avid record collector and DJ at the monthly funk and soul dance night, Hipshaker. He left Zenon Dance Company but does plan on returning as a guest artist and also for the company's outreach residencies with the deaf, hard of hearing community. He completed a two-year program for a Sign Language Interpreter/Transliterator AAS degree and now also works as an interpreter.